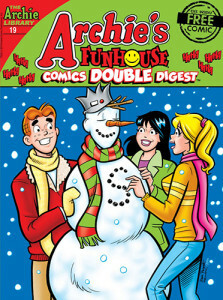 A few months back I announced that I had written a story for an upcoming issue of an Archie Comics Digest. I recently learned that the story I wrote has been delayed into next year. When I know the exact release date I’ll update it here, so stay tuned. keeping me busy with writing cover scripts for their other digests. For those who don’t know, a cover script writer is similar to that of a ghostwriter — I come up with the initial idea or gag for a cover and submit it to Archie’s editors. Once the idea is approved it’s then handed off to a penciler, inker, and colorist who take that idea and bring it to life. So while I do get paid for my idea, I don’t actually get credit for it in the book. 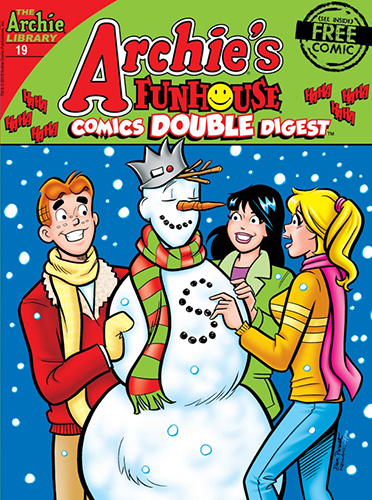 The first two cover scripts I wrote, Archie’s Funhouse #19 and Betty & Veronica Digest #238, will ship in October. More cover ideas I wrote will appear in following months. For more information check out Archie’s solicitations for October. 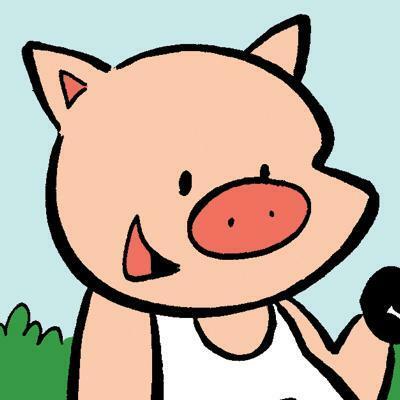 Longtime readers of Suburban Fairy Tales may have noticed how the strip has changed to be more pig-centric in recent months. While there was never an official announcement or storyline that acknowledged this change, the fact is that Suburban Fairy Tales has become a different strip. The change in Suburban Fairy Tales happened around January of this year. I wanted to intentionally change things up after shopping the series around to different editors and listening to their comments. While most editors loved the humor and writing, the one consistent comment between them was that the cast was too big — and after reading through my samples, I realized that they were right. The cast of Suburban Fairy Tales had grown exponentially since its debut in 2005, and this ever-increasing number could make it difficult for some readers to connect. I decided I needed to do something about that. 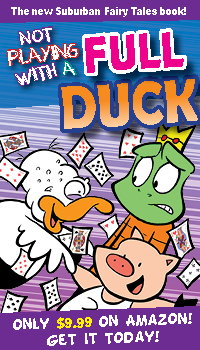 I thought long and hard about which characters were important to the series; which ones were not only fun to draw, but were likable, funny, and would bring about the most interesting and humorous stories. The brotherly relationship between the Three Little Pigs felt the strongest, so I made them the new stars of Suburban Fairy Tales. Red Riding Hood, Wolf, and sometimes Rumpelstiltskin help to round out the supporting cast. Looking back at the last 7-8 months of Suburban Fairy Tales, I feel that the strip has never been stronger, and I’ve never had more fun doing it. So what happened to the other characters like Pinocchio, Frog Prince, Rapunzel, and Goldilocks? While they are no longer in the spotlight, I like to think they are in the background somewhere, living their lives in the Suburban Fairy Tales world. And who knows… I wouldn’t be surprised if occasionally one of them made a guest appearance in a future strip or story some day. But for now, it’s all about the Pigs. The summer of comic conventions continues! 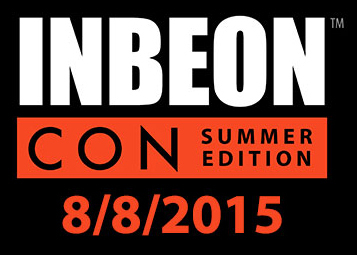 The next show I’ll be attending will be Inbeon Con, a comic con that focuses on artists. The convention takes place August 8, 2015 from 10am – 6pm at Molloy College in Rockville Centre, NY and will feature cosplay contests, panels, and multiple artists and vendors. Suburban Fairy Tales will have its own table where I’ll be signing books, posters, and statues. Plus, I’m hoping to have plush little piggies available in limited quantity! 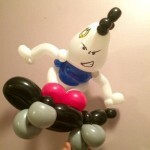 I wanted to share this Humpty Dumpty balloon animal by balloon artist Derek Muterspaw, who I had the pleasure of meeting at Eternal Con last month. I think he captured Humpty’s likeness exactly! See this and more Suburban Fairy Tales fan art in the Fan Art Gallery. Do you like science fiction, fantasy, steampunk, comics, gaming, or anime? Then come see me at MinCon! 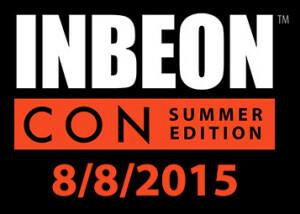 MinCon is a pop culture convention taking place at the Mineola Memorial Library in Mineola, New York on July 18, 2015 starting at 10 a.m. I will be present the whole day at the SUBURBAN FAIRY TALES booth signing books and giving away free sketches. Posters and statues will also be available. Admission is free! More info can be found on the MinCon website!